Dessy's new Park Avenue brocade pointy toe flat is a fresh take on our classic flat. Super feminine and flattering, they are the perfect shoe to change into for your reception or rehearsal dinner. 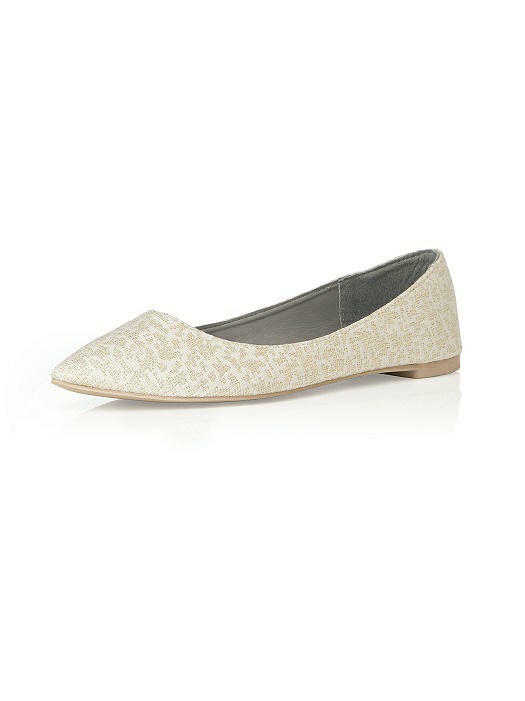 Soft gold metallic accents in the our ivory brocade add just the right amount of luxe to this elegant shoe. 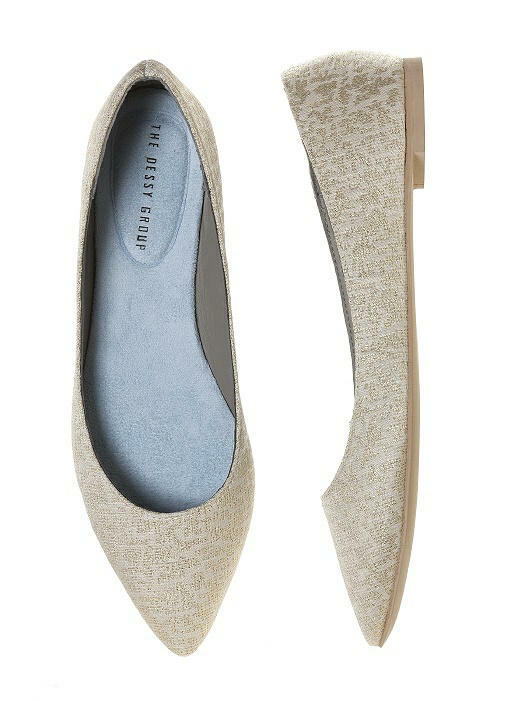 Pair this shoe with one of our jeweled shoe clips for an extra hit of glam. Imported.